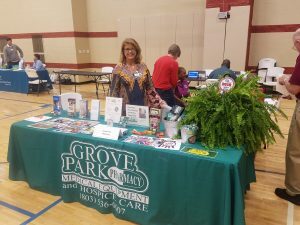 Phyllis Parker of Grove Park Pharmacy, Medical Equipment and Hospice Care gave out flu shots and education for city employees. Supporting our community for better health! !